An impressive range of Slate floor tiles including slate flagstones and chipped edge slate tiles for a rustic looking floor. Slate slabs are a popular choice due to slate's durable nature and affordable price with black slate floor tiles being one of the most popular natural stone flooring tiles. However, our green slate and grey slate tiles are definitely worth considering to add that contemporary touch. This hard wearing rustic black slate can be used internally or externally. It is a durable, practical example of natural stone flooring. It is available in flagstone flooring sizes or a repeat random pattern. 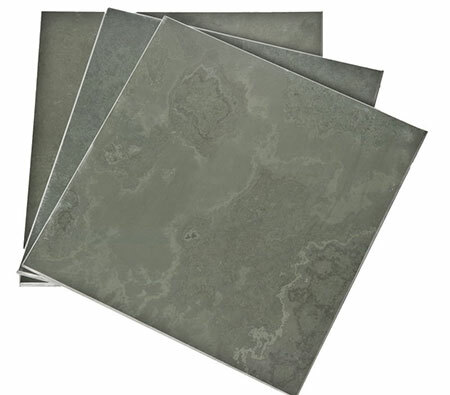 We offer these durable practical slate floor tiles at the best prices. Langdale tiles are a dense and practical dark slate which has a smooth surface and an antiqued edge. This slate has a variety of colours from grey to black. It is available in flagstone flooring sizes or a repeat random pattern. 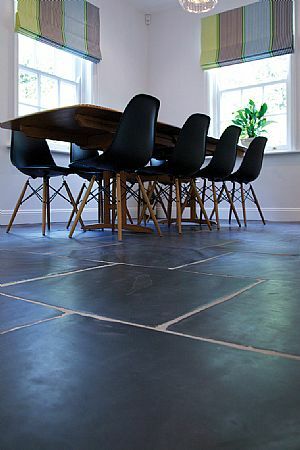 We offer a range of slate floor tiles at discount stone floors prices. This is a high quality stone tile available at the best price. This hard dense semi riven black Welsh slate tile is quarried near Ffestiniog in Wales. This traditional slate tile is the strongest and most durable slate flagstone flooring that can be used for flooring. We offer this material in a variety of sizes (including flagstone flooring) and bespoke sizes can be produced to order. 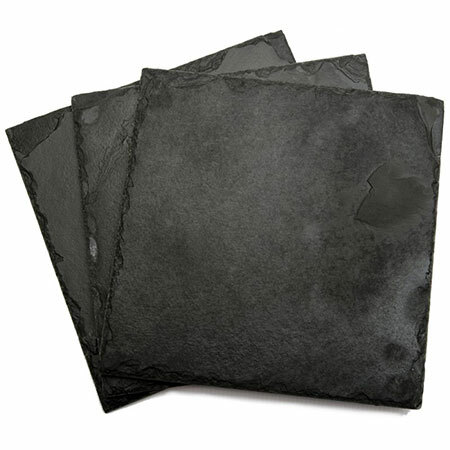 This hard wearing black brushed slate can be used internally or externally. 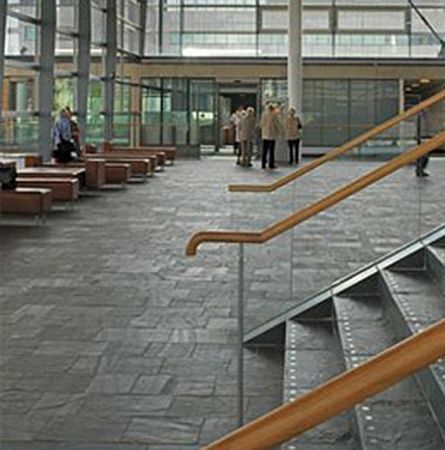 It is a durable, practical example of natural stone flooring. It is available in flagstone flooring sizes. 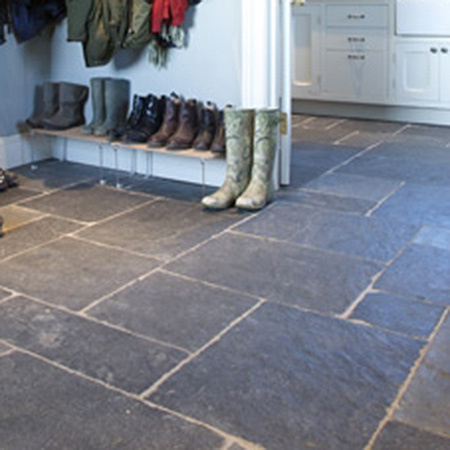 We offer these durable practical slate floor tiles at the best prices. This hard wearing black slate has a chipped edge and rustic surface. It can be used internally or externally. It is a durable, practical example of natural stone flooring. It is available in flagstone flooring sizes or a repeat random pattern. 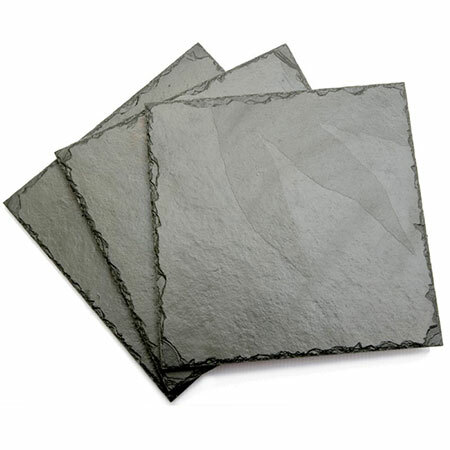 We offer these durable practical slate floor tiles at the best prices. This hard wearing black slate has a split face and a riven surface. It can be used internally or externally. It is a durable, practical example of natural stone flooring. It is available in flagstone flooring sizes or a repeat random pattern. We offer these durable practical slate floor tiles at the best prices. 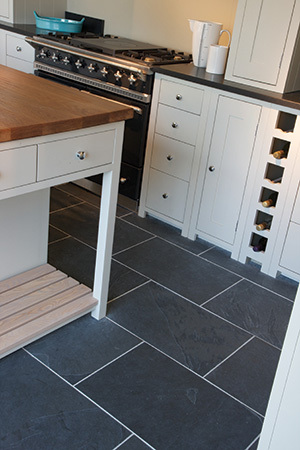 This hard wearing grey slate has a chipped edge and rustic surface. It can be used internally or externally. It is a durable, practical example of natural stone flooring. It is available in flagstone flooring sizes or a repeat random pattern. 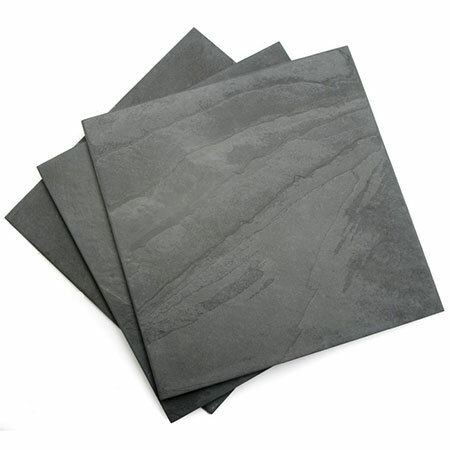 We offer these durable practical slate floor tiles at the best prices. This hard wearing grey slate has a honed surface. It can be used internally or externally. It is a durable, practical example of natural stone flooring. It is available in flagstone flooring sizes or a repeat random pattern. We offer these durable practical slate floor tiles at the best prices. This hard wearing grey slate has a split face and a riven surface. It can be used internally or externally. It is a durable, practical example of natural stone flooring. It is available in flagstone flooring sizes or a repeat random pattern. 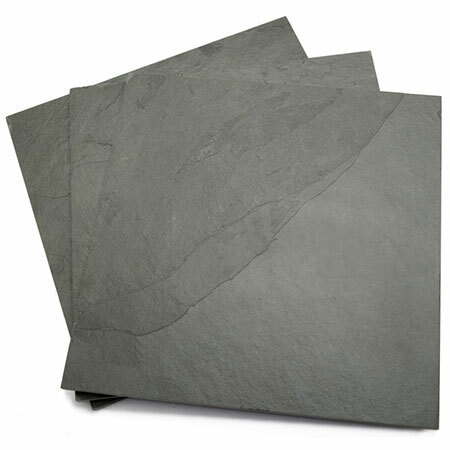 We offer these durable practical slate floor tiles at the best prices.